Topline: A thorough facelift gives the Chieftain a new look that might remind you of a certain other brand, while various technological upgrades improve the riding experience. What’s New: The Chieftain gets a younger, more modern look for 2019 in an effort to highlight its performance. It has an all-new front fairing which no longer has integrated turn signals, but small round signals tacked onto the sides instead. 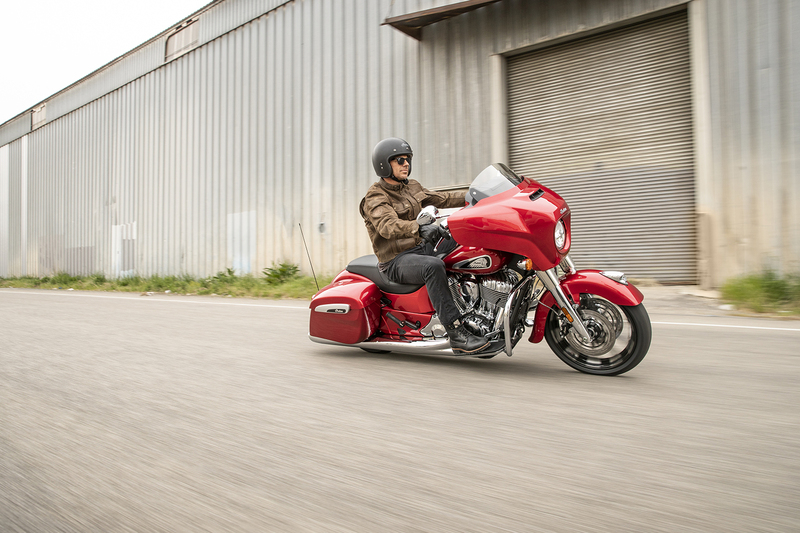 The front fender is redesigned and no longer has Indian’s recognizable valanced front. The Chieftain also has a new “Rogue gunfighter” seat which is a bit slimmer and not such a wide saddle like the previous model had. 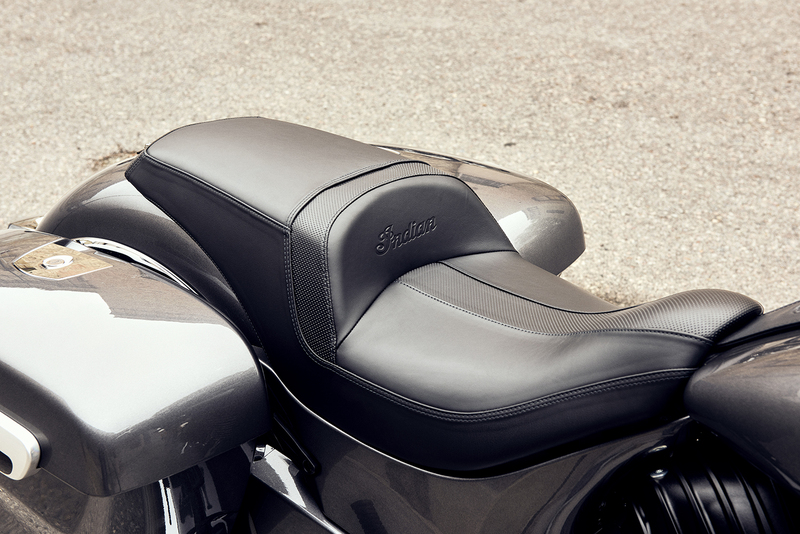 The saddlebags are redesigned as well for a sleeker, more muscular look. The Chieftain now has four different models within its lineup, the base Chieftain ($21,999), the Chieftain Classic which looks like the pre-facelift Chieftain ($24,999), the moody Chieftain Dark Horse ($25,999) which is now available in three different colorways, and the more luxurious, more chrome Chieftain Limited ($25,999). 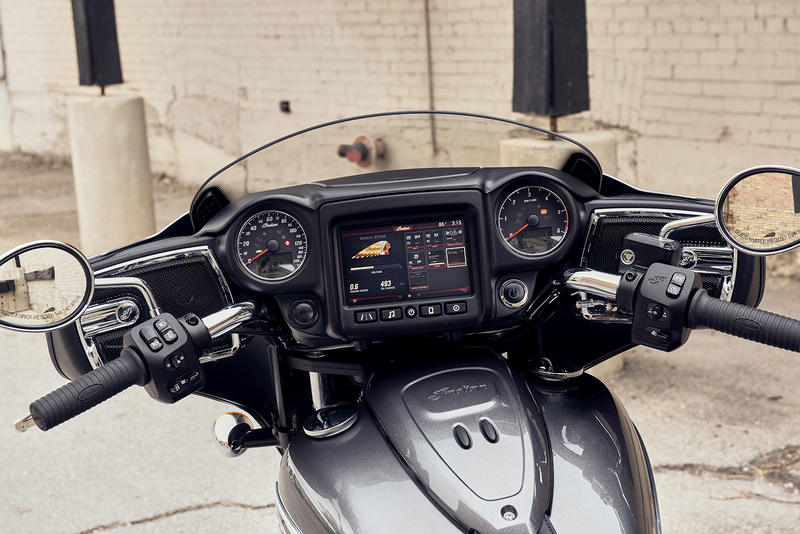 A few new features that have also come to the 2019 Chief, Springfield, and Roadmaster include LED lighting, rear-cylinder deactivation at idle which reduces engine heat and improves rider comfort, an upgraded stock stereo for better-sounding tunes at all speeds, and three ride modes that modify power delivery: Tour, Standard and Sport. 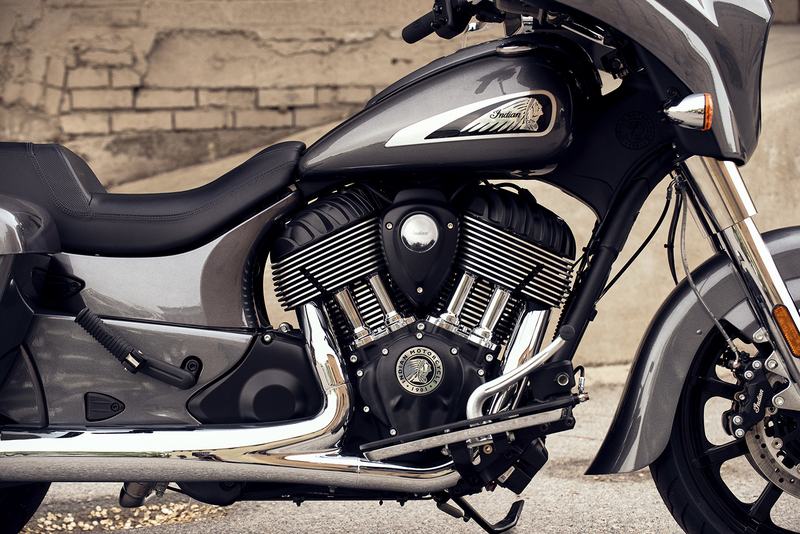 The Chieftain continues to get its power from the Thunder Stroke 111 V-twin which makes 119 lb-ft of torque and an undisclosed amount of horsepower. 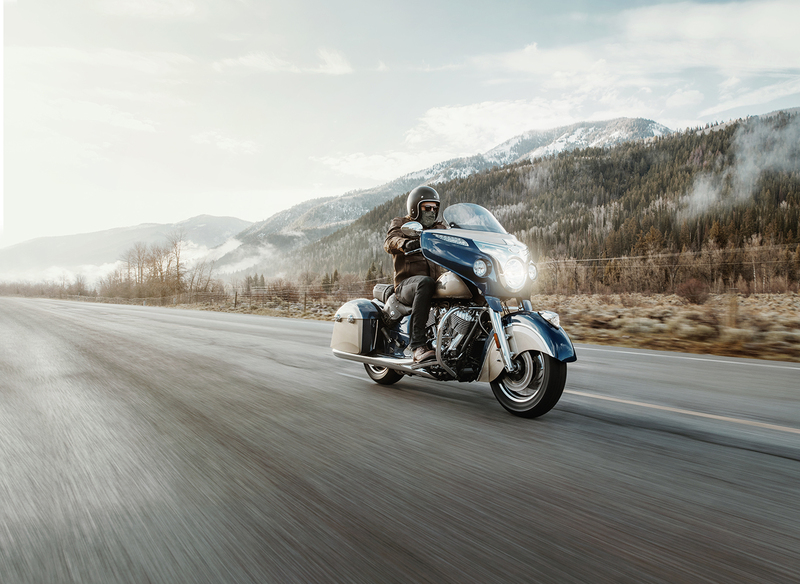 What You Need to Know: The new Chieftain looks more modern and more muscular and, well, less like an old man bike than before, but I don’t like the tacked-on turn signals. One of the coolest things about the old Chieftain was the nicely integrated signals into the front fairing. When you have a fairing that big, it looks awkward to have little round signals on either side of it rather than using all of that blank space on the fairing for the front signals. 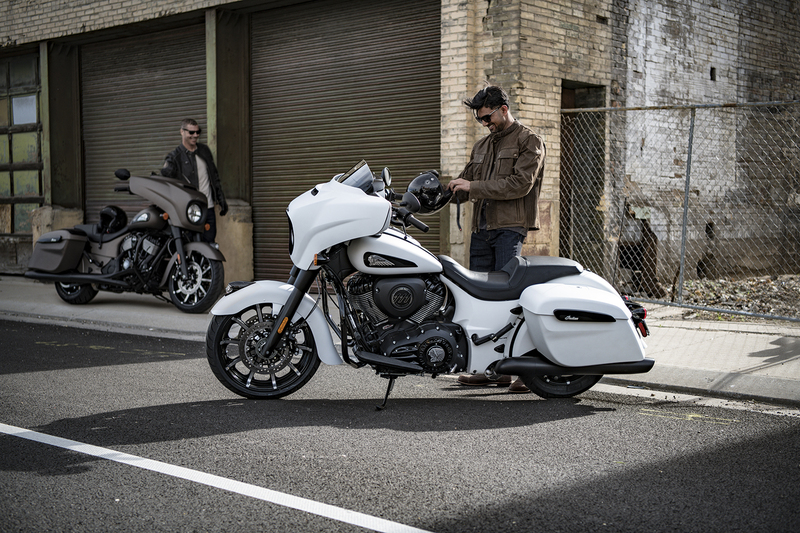 Now the Chieftain looks an awful lot like the Harley-Davidson Street Glide, which is unfortunate because one of the things people like about Indians is the fact that they aren’t Harleys. The comments on the YouTube video below seem to agree with the Harley similarity. 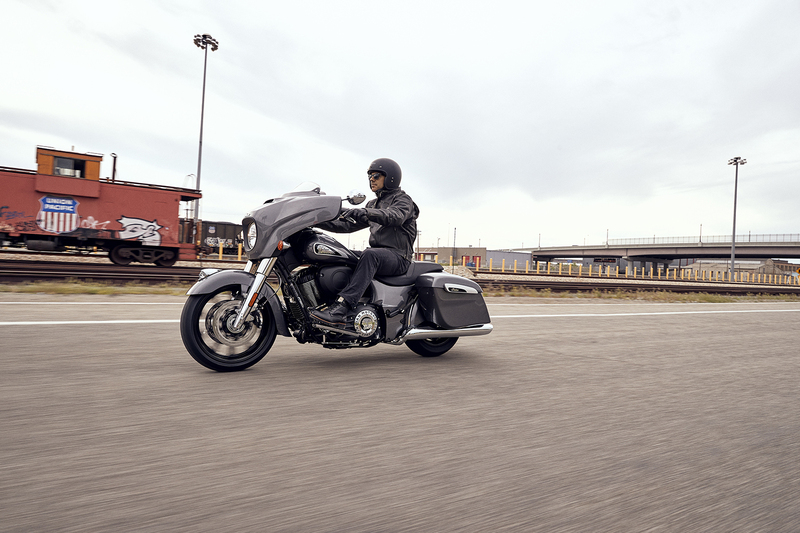 That said, it’s really nice that Indian is still offering the pre-facelift Chieftain with the integrated signals and valanced front fender for those going for a more classic look, even if it is more expensive than the base model now. Having four different varieties available makes it a versatile little family with something for everyone in the market for a heavy touring bike.